The US will cease to be a majority-white populated country between 2040 and 2045 according to several reports on census population projections. But some recent plays may already be giving white audiences the feeling of what it’s like to be a minority, and receiving a lot of attention for their efforts. At the Helen Hayes Theater, Straight White Men, written not-so-incidentally by Young Jean Lee, the first Asian-American woman ever to have a play on Broadway, is presented entirely within a picture frame. A gold inset at the bottom of it bears the title of the play. It would not look out of place on a vintage piece of art in a museum, suggesting that the macho roughhousing of the characters – who we learn were raised to be good, considerate liberals – are on display, even more so than just by being presented on a stage. This brought knowing laughter from much of the pre-opening night crowd, whether because of personal experience or knowing support. This start sets up the evening as something more than a realistic play, only heightened as the Persons in Charge – though they never speak after the prologue – move the four white men in the cast about during scene changes. 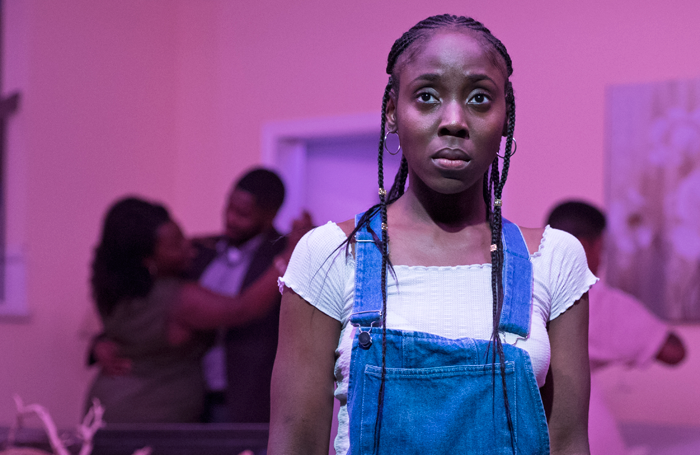 Meanwhile, downtown at Soho Rep, Jackie Sibblies Drury’s Fairview uses several devices – each too original to reveal so early in the life of the play – to cause audiences to re-examine what they watch. The play begins as comedy about a black family on their grandmother’s birthday, but morphs several times during the course of less than two hours. Its theatrical devices repeatedly require the audience to change their perspective, not only on what they see but about how they personally respond to it. It’s no mean feat; a single change-up would be sufficient for most plays asking audiences to interrogate their own points of view about race and ethnicity. These relatively intimate shows are aligned with the physically larger ambitions of David Henry Hwang and Jeanine Tesori’s Soft Power, a full-scale musical produced earlier this summer in Los Angeles and San Francisco and, I have on good authority, planned for a New York stage in its next incarnation. While described as a musical within a play, the majority of Soft Power’s stage time – and here I spoil nothing because the authors have spoken publicly of their intent – is given over to an inversion of the dynamic at play so often in productions of The King and I. 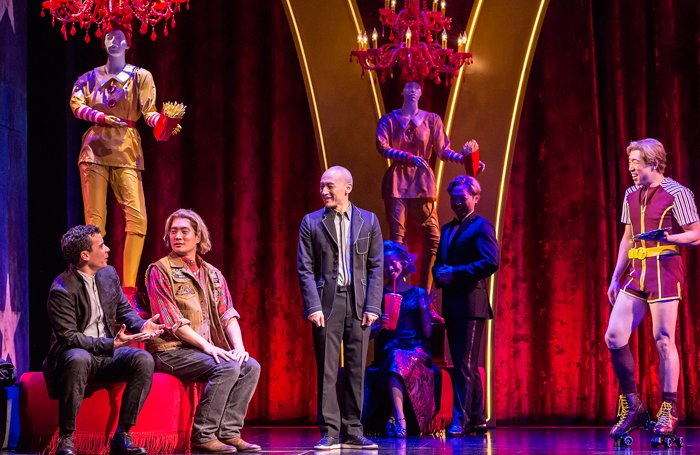 Soft Power gives us a musical presented, ostensibly in a future revival, in China, where it was originally written and produced, which purports to tell the story of Hillary Clinton’s romance with a Chinese businessman. The all-Asian cast, save for the actor playing Clinton, presents what some might find to be absurd characterisations of Americans borne out of an amalgam of cowboy and crime movies. For present day US audiences, the effect is to approximate how Asian audiences may feel watching the Rodgers and Hammerstein classic, in which Asian history and tradition is subordinated and subverted by the colonial impulses of its English heroine (by way of US authors), alongside representations born of ignorance or stereotype. The word that came to mind as I watched each of these shows was dislocation – each seems to change the viewer’s place in the hierarchy of society and of theatre. 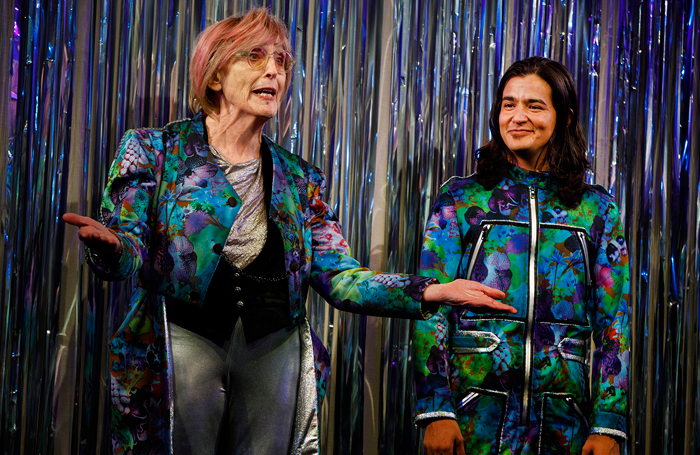 Each work uses entirely different techniques and achieves different effects, but they serve as harbingers of how audiences entrenched in 20th century theatremaking may feel in 25 years. That will be the result if the prevailing creative voices around the mid-century mark reflect the prevailing mood, concerns and population of the country, and a wider variety of ethnic, racial, and even international stories on stage. Which they should. Lee, Drury, Hwang and Tesori suggest it’s never too soon to open our horizons and understanding, and each in their own way does their level best to prepare us all, whatever our background and heritage, for a more diverse, inclusive and expressive theatrical future. In advance of its planned Broadway run, the stage version of Baz Luhrmann’s Moulin Rouge reopens at Boston’s Colonial Theatre this weekend, having been delayed when construction work required some last-minute shoring up. The leading roles are played by Karen Olivo, Aaron Tveit and Danny Burstein, under the direction of Alex Timbers. The score from the film has been refreshed to include some songs released after the film itself; the book is by John Logan. As proof that a cast recording is the surest way to insure life for new musicals, Be More Chill, first seen at New Jersey’s Two River Theater Company in 2015, reaches New York in an Off-Broadway production opening on Thursday. This is thanks, in large part, to the devoted following developed through streaming audio with more than 100 million streams reported as of April of this year. Based on a 2004 novel, it has a score by Joe Iconis and book by Joe Tracz; Stephen Brackett directs.